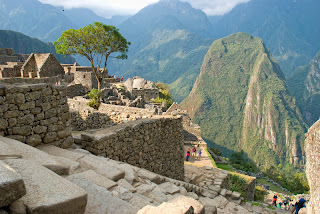 You are here: » Home » South America » Macchu Picchu, Civilization in the Clouds! Macchu Picchu, Civilization in the Clouds! The Incas in Peru to develop their civilization in the Andes around the 14th century. 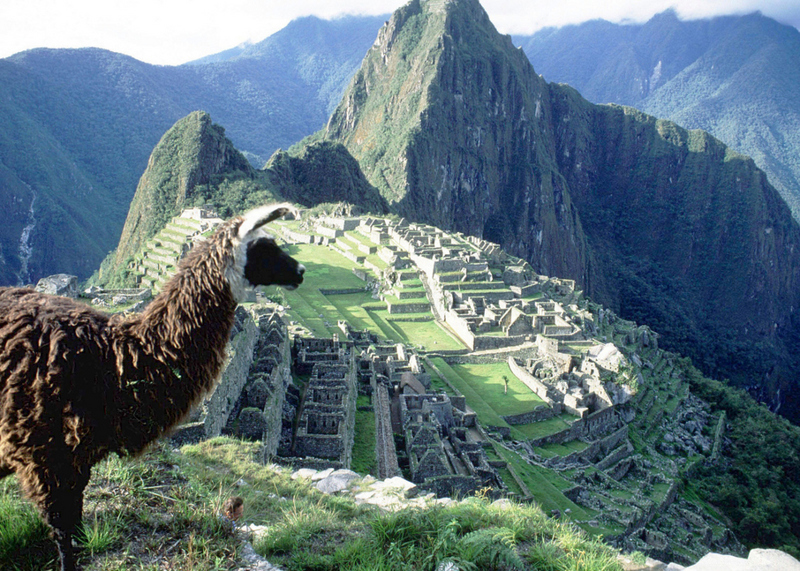 The ancient city they are in a height of 2,430 meters above sea level, called Macchu Picchu. Not surprisingly, the place is called civilization on the cloud. Not easy to achieve this complex. At least it took about 4 days of trekking to get to Macchu Picchu complex. The ride was known as the Inca Trail is not going to be hard considering the beautiful panorama that will be passed. When the season was good or the holiday season, trekking routes will be crowded by travelers of the same curiosity with you. A former complex of ruins of ancient civilizations stretching gracefully and surrounded by green trees and thin clouds. The only permanent inhabitants there are llama herds are often seen everywhere. This complex is not really dead, because you still get to enjoy the splendor of Macchu Picchu in some places. Look forward to beautiful sun there of Gate of the Sun, or see a perfect view of Macchu Picchu from Huayna Picchu. Many have questioned the existence of Macchu Picchu in the Andes Mountains. In addition to hard to achieve, the complex has an exclusive look when seen from the number of buildings that used to be there. Of the UNESCO site, the region has an area of ​​approximately 32,500 acres filled with buildings with high architectural value. According to some researchers, the people living there are not more than 750 people. That number will drop when it is winter. One thing is for sure, it's deliberately made in the secret place and secured. It can be seen from its position high enough. Imagine how far that must be taken to reach Macchu Picchu at the time. Now, it seems all the tourists can reach Macchu Picchu in various ways. Either parents or children alike can feel the sensation of standing in the ruins of an influential tribal complex at the time. Inca Trail route has become the most famous and most widely chosen for young tourists. But there are also other lines that can be accessed more easily for tourists who can not walk very far or long. You can take the train from the city of Cuzco or Ollantaytambo to Auguas Calientes town. From there, you can take a round-trip vacation packages or overnight. From Auguas Calientes, you just need to get to the top trekking for 1-2 hours. It was easy because the existing access track in particular. 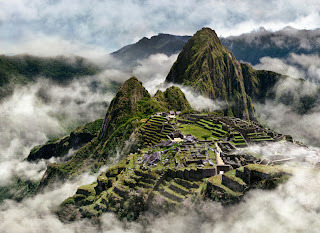 Article : Macchu Picchu, Civilization in the Clouds! 0 Respones to "Macchu Picchu, Civilization in the Clouds!"